Kuroshitsuji Wallpaper: And That's All. Minitokyo »	Kuroshitsuji Wallpapers » Kuroshitsuji Wallpaper: And That's All. Ok fine.. Descriptions here alas. My 18th wallpaper, 6th for Kuroshitsuji. I was stuck. At home. With a bunch of books. A laptop. An Ipod. With NO INTERNET CONNECTION! I was dumb strucked. My head dropped onto my study table and I drooled whole day long. Until I decided to explore what I have got in my laptop. 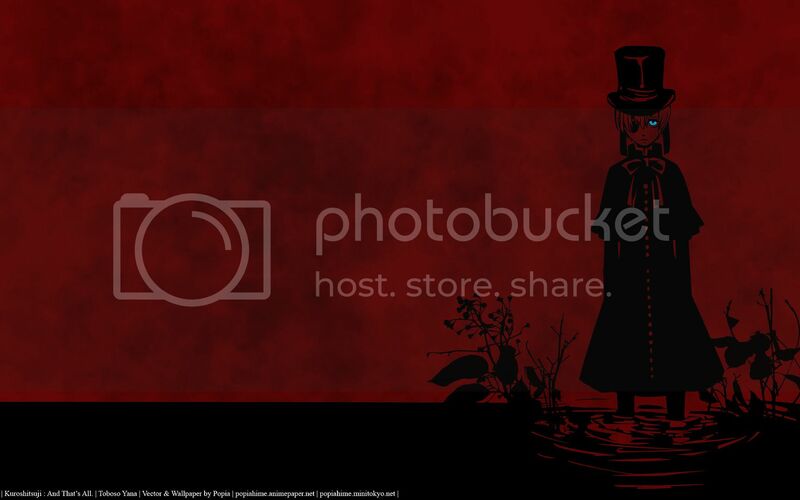 And ahoy, lucky me did download the wonderful scribble done by Toboso Yana from her blog. It was stated there not to be republished or reprinted in any form. Im not sure if this is OK but if her party requests this to be taken down, I would be happy to do so. I wanted something simple so that I wont be bored outta this. So I picked this. Took me an hour to vector the simple picture. Then took another hour to explore what I got with my brushes collections, and voila... hehe.. 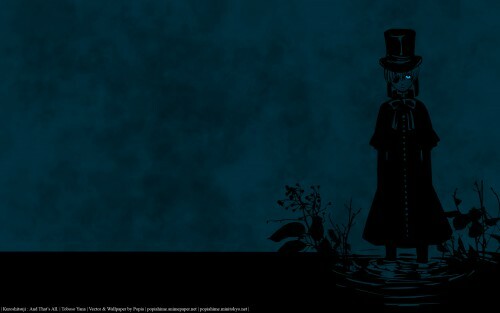 Simple, and creepy.. Ciel's life, it is. That's all for now, and here are your RED doses if BLUE suits none of your tastes. P/S: No other resoutions available. Enjoy. I love how this piece turned out... It's simple but beautiful.. great job! i love this kind of picture! it's so dark and beautiful and masterly done! I find this strangely depressing....But it is really beautiful. C'est simple, sombre, j'adore ! 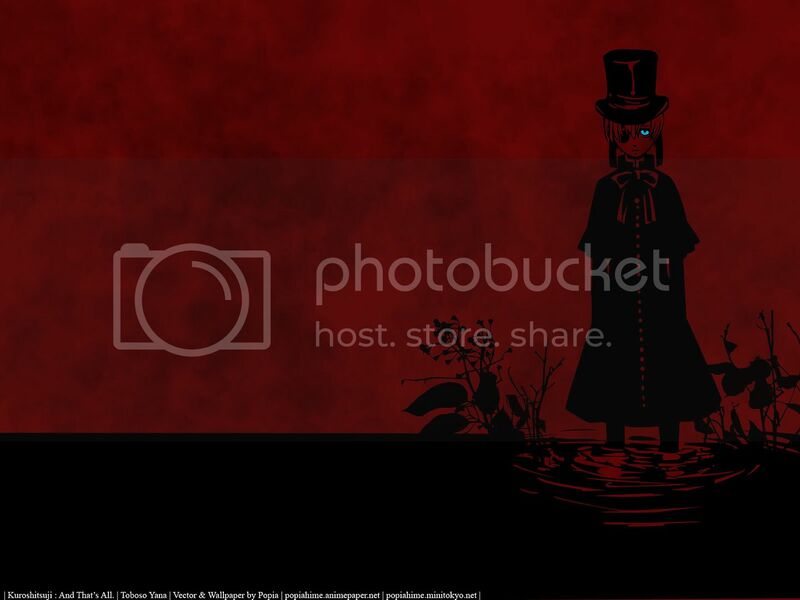 It's beautiful in a dark and grotesque way. Great work! It's simple and dark but amazing! Thank you!